If you love yoga, and have been struggling to find that perfect mat for yourself- a mat that's soft, sturdy and looks great (that's not too much to ask for, really), you must check out Kosha Yoga Co., a Mumbai-based brand that's changing the way you work out. And, their products won't leave you with a pocket pinch, we promise. 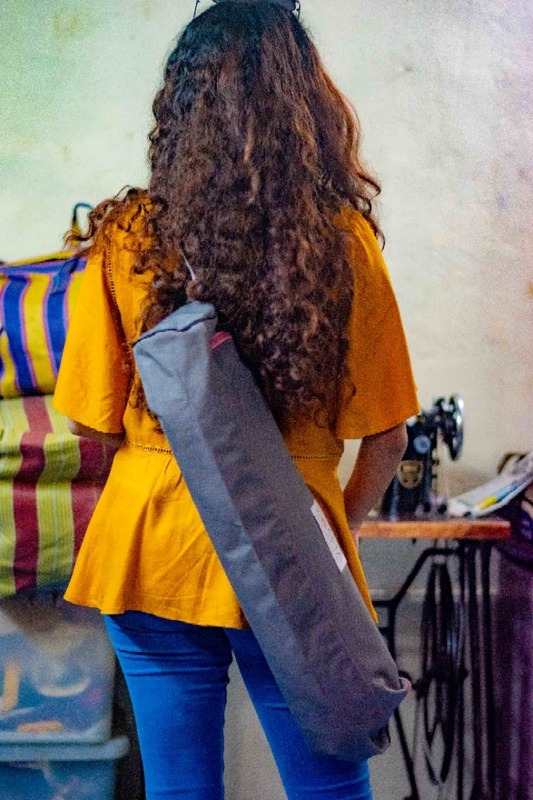 The brainchild of Harneet and Alok, the brand came into existence only because Harneet, a yoga practioner and trainer couldn't find herself the perfect mat (necessity is the mother of all inventions, isn't it? ), and that's when the duo decided to solve her woes themselves. After research and trials and errors, Kosha Yoga was founded, and ever since, has been highly recommended by several yoga teachers and practitioners alike. Their high-quality mats are made using natural materials, making them 100% organic. Priced under INR 5,000, these mats are total value for money. We also loved their yoga bags in which you can crry around your mats with absolute ease. An interest fact- these are made by the women from Dharavi (isn't that amazing?!). Also, they sell all-season bags, so what's your excuse for not working out? Apart from these products, they have yoga blocks made using natural cork, meditation pillows and eye masks. However, I’d like to highlight the fact that while the brand makes some of the coolest yoga accessories, they also donate a part of their sales to Kalote Animal Trust, a shelter for rescued animals, on the outskirts of Mumbai.